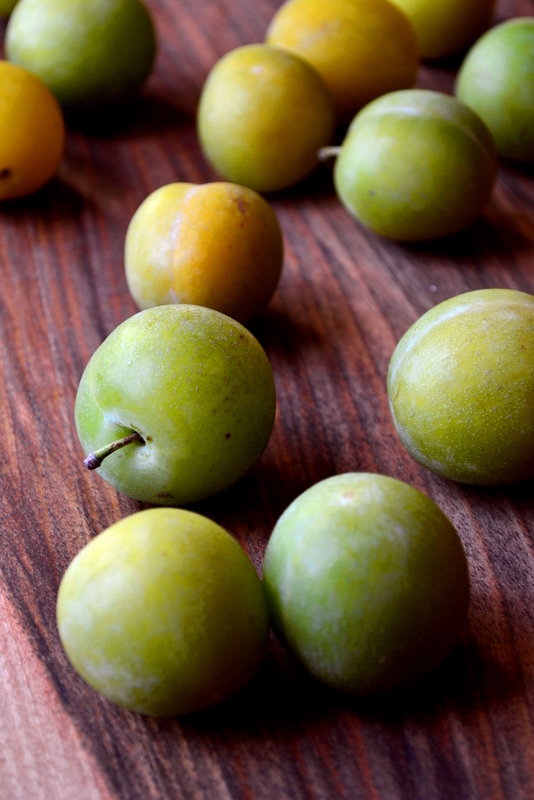 If you like plumbs and want to cook with them, look no further than the humble greengage. 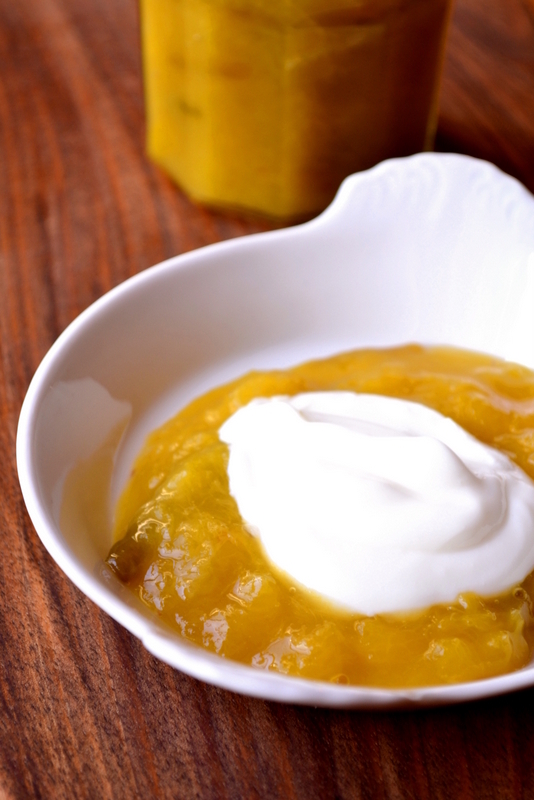 Adorably small, attractively green and somewhere between bitter and sweet, greengages lend themselves well to a wide spectrum of sweet dishes, bakes and preserves; not least this simple, yet devastatingly delicious Greengage and Honey Compote. Cooking with plums inevitably involves the removal of potentially troublesome stones. To make life as easy as possible for yourself, remember to give your greengages a gently squeeze before purchasing, just to make sure they’re ripe enough. Besides, choose hard fruit and your compote could end up a little too bitter. Not nice. At their best and cheapest towards the tail-end of summer, now is the time to get involved with greengages. If you’ve never tried one, then what are you waiting for? 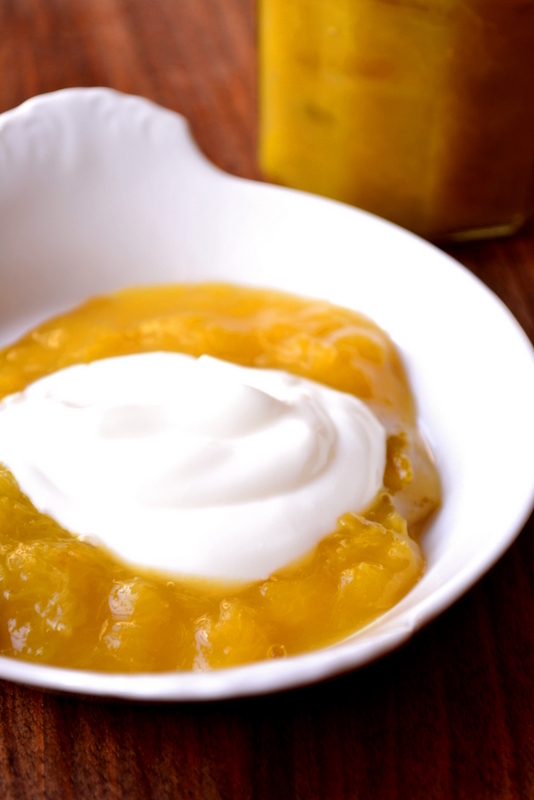 Unfortunately, though they are plentiful in August and September, their season is relatively short; so it’s now or never if you fancy a spoonful of delicious greengage compote, sweetened with honey and served alongside a generous spoonful of Greek yoghurt. Really enthusiastic? You could go greengage crazy and serve it atop a slice of frugal Greengage Tart. Halve and remove the stones from your fruit. Gently heat a tablespoon of honey in a large saucepan, before adding the greengages and lemon juice. Increase the heat to a brisk simmer and cook for 5-7 minutes until the greengages have broken down. If the compote is looking a little too dry add some water. Once smooth but with a little body, transfer the compote to a jam jar or similar. If you intend to keep the compote as a preserve make sure the sterilise the vessel with boiling water before hand. Cost: At a little over £2 per kilo, greengages are a relatively inexpensive fruit to cook with. 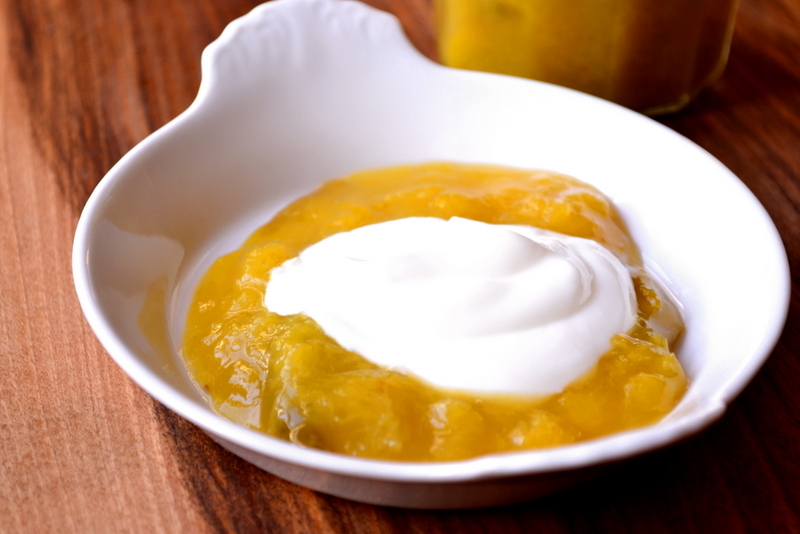 Ready in about 10 minutes, this recipe for greengage and honey compote is also frugal in terms of time. At around £1.50 per jar, or less than 25p per serving, it’s a cheap and flexible dessert ready in a flash if you need something urgently. Very elegant Nick. A great use of those greengages. They seem to be in great abundance here this year. Thank you. Just a shame the season is so short! Chic! I love it, We also, have those in abundance during August, at my side of the world. That’s good to hear; an exceptional fruit! I love plumbs !!! nice post .. I haven’t seen greengage plums before, but I love the plums of early fall that we have here in Canada: the yellow ones and the purple ones (which I only seem to see sold by the names ‘yellow’ and ‘purple’ – they must have other proper names!). If it’s possible, I can tell just by looking at the photo of the plums (along with your description of their flavour) that I would enjoy these. If I ever find any, I’ll give them a try! See if you can find some next year, they’re totally delicious! Thank you; they are even better cooked than raw. I had to find out what a geengages are, as I have never seen them here, nor do I remember seeing them in other states where I have lived. Now I am so curious about the taste! Google is your friend. Perhaps you have another name for them. It’s a squeeze or a sniff!